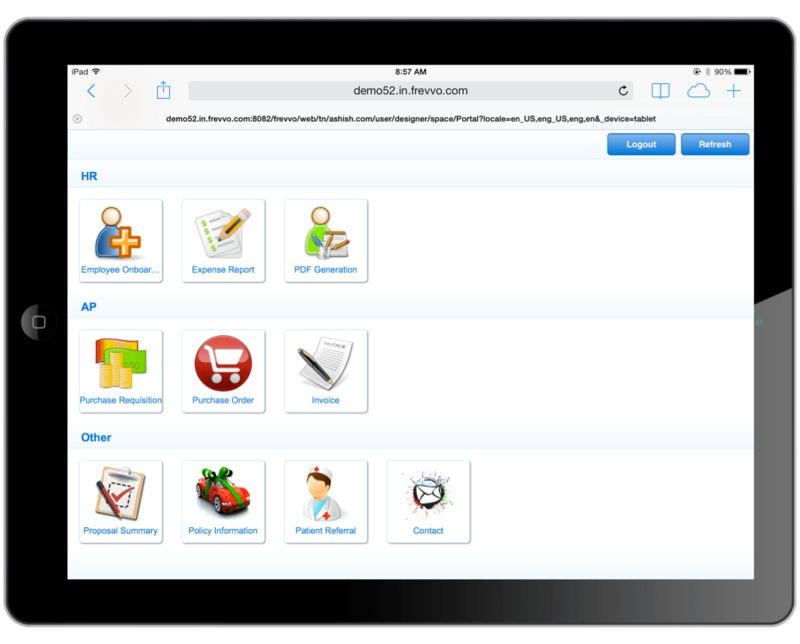 How do I use my frevvo forms and workflows on mobile devices? 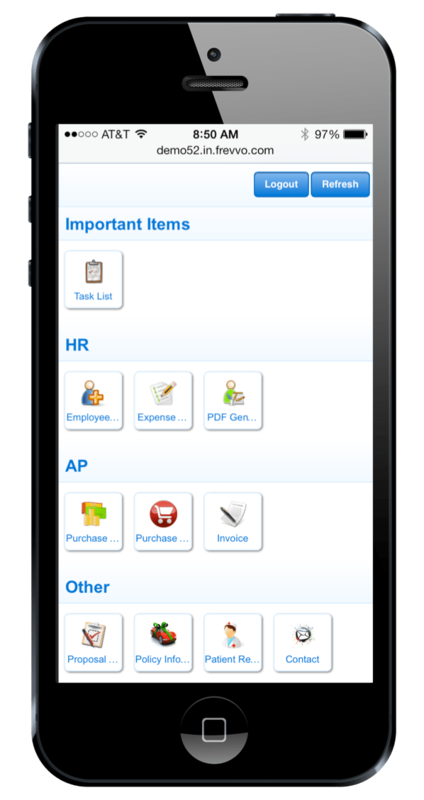 frevvo forms and workflows work well and look great on mobile devices, of course. But how do you deploy them so people can easily access them on their smart phones and tablets? That’s where Spaces come in handy. A single frevvo Space can handle all mobile platforms as well as desktop systems. Click on Spaces in the left menu and add a new space. frevvo will automatically generate a portal with your deployed forms and, of course, you can modify the menus, display text, add a custom logo, change the color scheme, watermark etc. so the Space has your desired look & feel. Here’s what it looks like on the tablet and you can bookmark it and add it to your home screen. The forms and workflows appear as icons (you can add your own thumbnails) – something users are familiar with on mobile. Click on an icon to access the form or workflow. The Space takes care of rendering it nicely, adding navigation (Next/Back/Cancel/Login/Logout) and making the experience intuitive for mobile users. You can also easily access your Task List, view and perform your pending tasks, audit trails etc. The Space will automatically render only public forms and flows if the user is not authenticated so users can only see what they have access to. Nice and easy. The Space will automatically render differently on the phone with smaller icons. The space itself and its embedded forms, flows and task list are responsive and automatically adjust to the smaller screen size on the phone. Of course, we didn’t forget about the desktops. The space looks natural with drop down menus for your forms – a paradigm people are used to on the desktop.